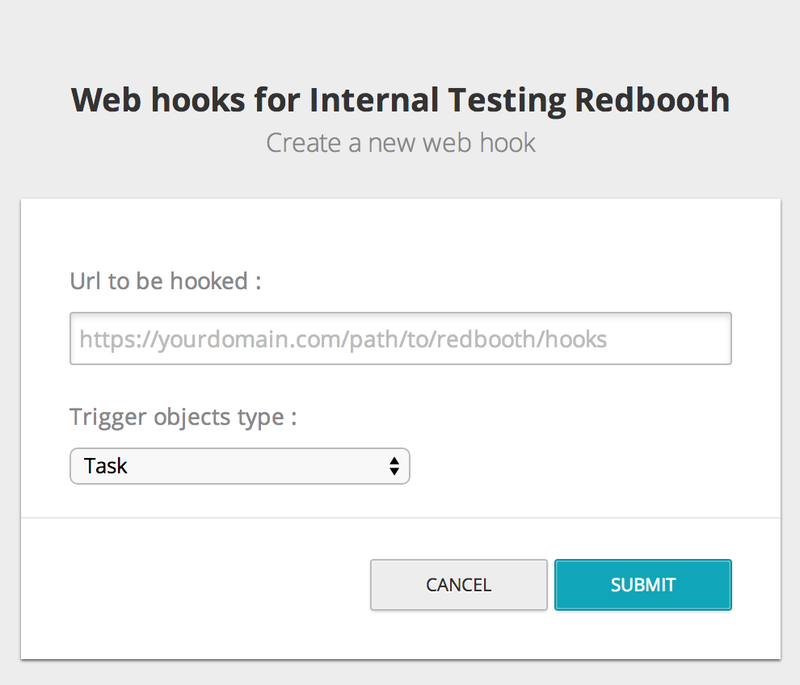 Redbooth’s web hooks enable us to avoid pulling and deliver an optimized service. Creating a web hook for your organization, you will receive update messages every time that an element is created, updated or deleted. You won’t need to send recurring requests to check for updates and get 403 messages because Redbooth will send you a message every time a change is recorded in the platform. Welcome to real-time communication! To create a web hook you will need to be administrator of the organization for which you want to create it. 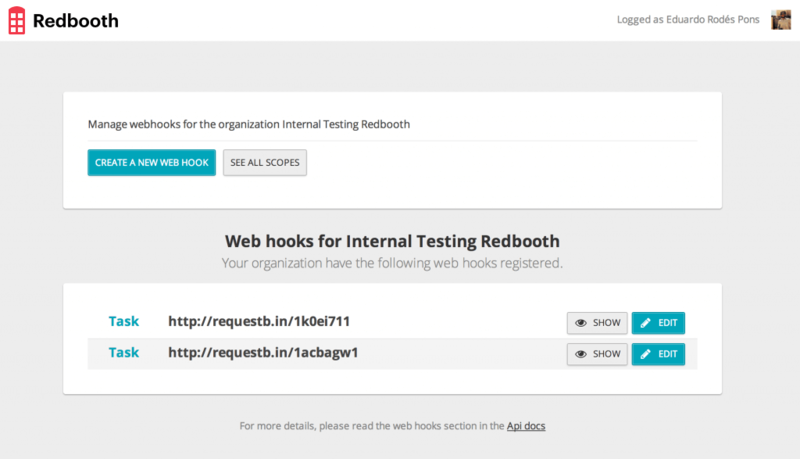 If you are, you can directly go to redbooth.com/app/organization/organization_id/web_hooks and start creating your hooks. Otherwise you can get in touch with your organization’s administrators through Manage organizations and request to become an administrator too. Non authorized adventurers will get an “Insufficient authorization” message. Once you land in redbooth.com/app/organization/organization_id/web_hooks follow the steps: click on “Create a new web hook” and introduce the url in which you want to get Redbooth’s update messages. Make sure that the introduced url exists and is valid, since all the alert messages will be sent there. Web hooks are only available for tasks for the moment, so submit the request and start enjoying your hooks! You can create as many of them as you want. Due to security policies, you will only receive a post call containing a json with the type of element that was updated, its url, its id and the action that took place. This json contains all the information needed to call Redbooth’s api and get anything you want to know about the element or the event. *In this case you won’t be able to find the element any longer, since it has been deleted, you will get a 404 (Not Found).